READ: Letter Ex- Senate President wrote Obasanjo – Royal Times of Nigeria. 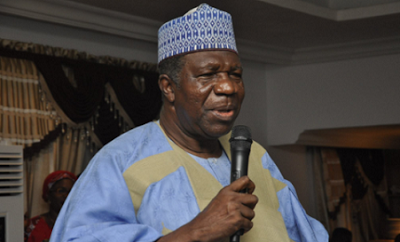 A former President of the Nigerian Senate, Ameh Ebute has replied Olusegun Obasanjo’s letter to Buhari where he asked he President not to consider running for office in 2019. This is the pretence and deception that have become your trademark and uprooted or alienated you from Nigerians. And in your repulsive character of appropriating what belongs to others to yourself, you are preaching about targets, the Zero Hunger goal would reach by 2025 in Nigeria with the participating states. Therefore, a mindset like this prefers not to see or much more acknowledge the laudable initiatives of the Buhari Presidency in achieving food security and self-sufficiency such as the Anchor Growers Programme for rice production and the various agricultural loans to Nigerian farmers and the revitalisation of hitherto moribund fertiliser plants across the country. You display the lack of capacity to wholeheartedly appreciate the efforts of other leaders. Rather you preferred to flaunt the African spread of your Presidential Library, which Nigerians have severally and collectively accused you of corruptly funding. Today, you frequently accuse your former Vice President, Alhaji Atiku Abubakar as very corrupt, but could recover and publish any kobo you recovered from him back to national treasury. The foundation for the dubious sale of national public assets like NITEL, PHCN etc was laid by you. The seeds of Boko Haram insurgency was sown under your administration in Borno and exploded, soon after you were forced to relinquish power after the failure of the infamous third term bid. The subsequent leaders you imposed on Nigeria could not handle the problem, until President Buhari came on board. President Buhari is leading Nigeria at its most tumultuous and tormenting era, with virtually all regions of the country embroiled in violent crises simultaneously. But he has significantly reduced the tempo of these conflicts and enthroned peace in most conflict areas. The herders/farmers conflict is unfortunate, but the President has not relented either. Apart from drafting security to the affected areas, Buhari has inaugurated an Economic Team headed by the Vice President, Professor Yemi Osinbajo to work out a permanent solution to the conflict based on its economic undertone. There is no such leadership content in you, exhibited throughout your years of leadership of Nigeria. Indeed, your close political associates often accuse you of resenting advice and it has earned you the epaulet of Mr.Know All. At every point, you are economical with the truth, by serving Nigerians with a menu of lies. Therefore, when you publicly declared that you have withdrawn yourself from partisan politics, it bemused many Nigerians. What else could be the colour and face of politics, when in your letter to Buhari, it expressed concern about the endorsement of President Buhari by some State Governors for a second term? What else is political, when you offer the unsolicited advice to President Buhari not to contest the presidency again in 2019? How else is politics played, when you incite public anger against a sitting President, by conjuring all manner of half-truths or outright falsehood against his administration? No former President of Nigeria who knows the poor state of the economy President Buhari inherited in May 2015 would not appreciate the efforts and measures adopted in revamping the economy. Nigeria was in recession, had an empty treasury, while public debts piled to frightening levels, most especially in salaries of public workers and local contractual debts, fraudulent oil subsidy claims and so forth. Meanwhile, crude oil price, the major national revenue source had dropped to as low as $28 per barrel. In spite of the precarious situation and paucity of national resources, President Buhari navigated his way through the tough terrain, offsetting public debts, diversifying the economy, funding public expenditure and executing capital projects across the country in amounts never before expended on funding capital projects. He has been able to raise the emptied Nigeria’s foreign reserves to over $40 billion in two years and the Nigerian Stock Market value has risen to an all- time high of over N15 trillion. When ordinary Nigerians expect an immediate impact of an economy which has just freed itself from recession, it’s understandable. But when someone like Obasanjo makes the same assumption and claim mismanagement of the economy, it is outright blackmail, and mischievous. Thereafter, you proceeded to paint a picture of gloom and dark clouds in Nigeria reminiscent of the 1999 experience, which you could not make better, but shamelessly sermonised its baseless rebirth in the current dispensation. So, enough of this bashing of every Nigerian leader. During your time, you performed abysmally, but Nigerians did not ask you to either resign nor not to re-contest. Contrary to your misguided belief, Nigerians are impressed with the ruling APC and the Buhari Presidency for what it has recorded so far. Nigerians know President Buhari is capable of offering more, if he continuous in office to 2023 with the support of Nigerians.